According to this piece, Ewan will be one of the actors answering phones for the telethon. 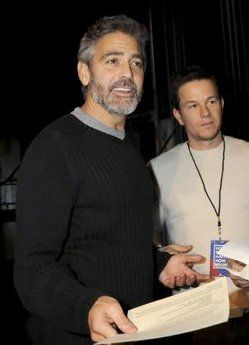 January 22, 2010, 12:24 p.m.
"There are about 130, 140 actors and athletes and singers that are all just coming up - not to be on the show - simply to answer phones," George Clooney tells MTV's Sway Calloway about tonight's Hope for Haiti Now telethon. ETA: I'm removing the video because it's become annoying, but I'm adding a lovely picture of Ewan to make up for it. The lineup of superstar operators includes (in alphabetical order): Ben Affleck, Tim Allen, Jennifer Aniston, David Archuleta, Alec Baldwin, Ellen Barkin, Drew Barrymore, Jack Black, Emily Blunt, Russell Brand, Benjamin Bratt, Pierce Brosnan, Gerard Butler, Chevy Chase, Kristin Chenoweth, Sacha Baron Cohen, Common, Cat Cora, Bradley Cooper, Daniel Craig, Cindy Crawford, Penelope Cruz, Billy Crystal, John Cusack, Eric Dane, Ellen DeGeneres, Fran Drescher, Michael Clarke Duncan, Zac Efron, Jenna Elfman, Colin Farrell, Andy Garcia, Mel Gibson, Tyrese Gibson, Selena Gomez, Neil Patrick Harris, Taraji P. Henson, Dijmon Honsou, Vanessa Hudgens, Randy Jackson, Jimmy Jean-Louis, Dwayne Johnson, Nick Jonas, Kevin Jonas, Joe Jonas, Quincy Jones, Diane Keaton, Michael Keaton, Anna Kendrick, Greg Kinnear, Jane Krakowski, John Krasinksi, Jessica Lange, Taylor Lautner, Daniel Day Lewis, Jared Leto, Justin Long, Rose McGowan, Ewan McGregor, Toby Maguire, Ricky Martin, Katharine McPhee, Debra Messing, Alyssa Milano, Jack Nicholson, Keke Palmer, Holly Robinson Peete, Tyler Perry, Chris Pine, Jeremy Piven, Jeremy Renner, Tim Robbins, Ray Romano, Jeri Ryan, Meg Ryan, Zoe Saldana, Adam Sandler, Nicole Scherzinger, Gabourey Sidibe, Kimora Lee Simmons, Russell Simmons, Christian Slater, Steven Spielberg, Molly Sims, Ringo Starr, Charlize Theron, Ashley Tisdale, Marisa Tomei, Amber Valleta, Sofia Vergara, Mark Wahlberg, Joe Walsh, Sigourney Weaver, Forest Whitaker, Olivia Wilde, Rainn Wilson, Robin Williams, Reese Witherspoon, and Noah Wyle. And here are the stars slated to PERFORM: Wyclef Jean, Madonna, Bruce Springsteen, Jennifer Hudson, Mary J. Blige, Shakira, and Sting in New York City; Alicia Keys, Christina Aguilera, Dave Matthews, John Legend, Justin Timberlake, Stevie Wonder, Taylor Swift, Emeline Michel and a group performance by Keith Urban, Kid Rock, and Sheryl Crow in Los Angeles; and Beyoncé, Coldplay, and a group performance by Bono, The Edge, Jay-Z, and Rihanna in London. It's great to get so many volenteers from the show biz world helping out with their proformances nnd answering the pnones. It really is, it's wonderful. 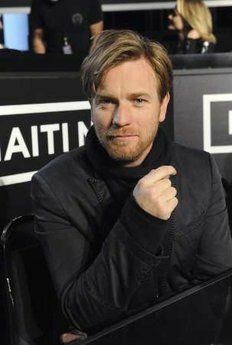 I found a nice picture of Ewan...scroll up. I know. It was wonderful of him to give his time this way. I found a nice picture...scroll up. He looks gorgeous. He is such a giving man. Not only with his money but his time as well. And so, too, the rest of the Hollywood community. great of them all to help out with the charity and such a worthwhile cause. and how brilliant would that be to get to speak to ewan! I know, it's really wonderful what they all did. Goodness, I can't even imagine what it would be like to speak to Ewan. I'd probably shake like a leaf and not be able to say anything coherent at all! 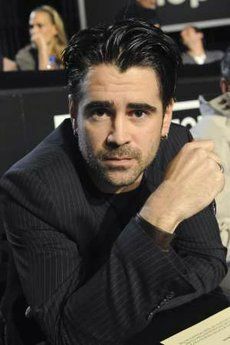 ETA: Forgot to mention - I found a nice photo of him...scroll up. Yes, I know, I'm so single minded. I have donated already though, and I'm glad they're doing this. Those poor people need all the help they can get! I hope they get tons of money tonight! I donated through UNICEF earlier in the week too. I hope they made scads of money tonight. Those poor people in Haiti. They didn't have anything to speak of before, and now this. It's so unspeakably awful. OMG!!!! Can you imagine? If I get Brad Pitt or Jack Nicholson or anybody, I'm going to say..."Could you pass me over to Ewan McGregor?" ROFL! I'm going to call. Aww, I just saw him on tv! Sadly, even seeing Ewan can't lighten my heart. Everytime they show a baby my heart breaks all over again. It wasn't doing that to start with. I yanked the annoying thing. Sorry.